“When you grow up, you must write this down!” Those are the powerful words from Glennette Tilley Turner’s father, and we are so thankful that she listened. Glennette Tilley Turner was born in Raleigh, North Carolina on November 23, 1933. 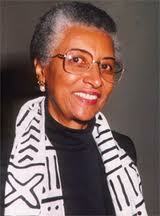 Blessed with strong, educated parents, she graduated high school, and in 1955, went on to earn her B.A. at Lake Forest College. Even though Mrs. Turner once worked in advertising, her heart was clearly in education. She’s taught in the Chicago Public School System, the Maywood-Melrose Park Public School System and, in 1968, she began teaching in the Wheaton-Warrenville Public School System, where she remained for twenty years. In 1977, Mrs. Turner went back to school and earned her master’s degree in History and Juvenile Literature at Goddard College. She is an educator, a consultant, a historical researcher and often lectures on her knowledge of the Underground Railroad. As a member of the Underground Railroad Advisory Committee of the National Park Service (NPS), she testified before subcommittees of the U.S. Senate and House and the Illinois Senate in support of Underground Railroad legislation. Her Underground Railroad program is recognized by the NPS Underground Railroad Network to Freedom Program. She has made presentations at National Network to Freedom Conferences, written articles about the Underground Railroad for several magazine and newspaper publications, and has been interviewed by C-SPAN and other cable networks. She even narrated the Chicago Opera Theater’s production of Harriet Tubman! When I was 10 years old my father became president of a small, cash strapped college in St. Augustine, Florida. As a result he was administrator by day and fund riser in the evenings. After doing a full day’s work he would drive to Baptist churches as far as 60 or 70 miles away to appeal for money to operate the college. My mother feared he would fall asleep at the wheel if he traveled those distances alone, so she solved the problem by sending me along. She figured that having a kid along talking and asking questions would keep him awake. Those were treasured times for me. As we drove along he would recount family stories and tell about people and events in Black history. He was especially interested and knowledgeable about Black inventors. I was fascinated! Not only was this the first time I heard details of the family stories, it was also my first time I heard about the achievements and contributions of Black people to national and world history. I wasn’t learning any of this in school and there weren’t books that told these stories. Knowing this Daddy would end each story by saying, “When you grow up you must write this down!” So I grew up with every intention of becoming a writer. After college the only writing related job I could land was writing advertising copy for a woman’s dress store. During this time a fellow copywriter and friend had a chance conversation with a children’s book editor who lived in the same apartment building. The editor told my friend that she was looking for someone to write a multicultural picture book for her fall list. My friend told the editor, “I know just the person to do it.” Surprise for Mrs. Burns was the outcome. After marrying and starting a family I went back to school to get my teaching credentials and began teaching elementary school. Meanwhile I began writing a monthly biographical sketch in Ebony, Jr! magazine. Naturally, it featured some of the figures from Black History that my father had told me about. During that time I had an opportunity to go to D.C. to attend a conference and while there met my idol, Eloise Greenfield. She was gracious, and welcoming, and encouraging. I left there thinking how I could expand on and combine the biographical sketches I’d been writing into a collective biography. As a classroom teacher I’d been writing skits which kids loved acting out–so paired the bios with skits and published Take a Walk in Their Shoes and later Follow in Their Footsteps. And followed that book with a full length biography of Lewis Howard Latimer. 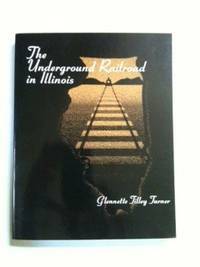 In the meantime I’d began conducting research on the Underground Railroad and have since published The Underground Railroad in Illinois, Running for Our Lives, and An Apple for Harriet Tubman. Can You Fill Us In on The Back Story? While at ALA one year I gave a copy of Running for Our Lives to the editor of my most recent book. He liked it and we began a conversation which led to a contract to write Fort Mose: And the Story of the Man Who Built the First Free Black Settlement in Colonial America. The book has personal meaning to me because Fort Mose was located in St. Augustine. At the time our family lived there the story was either unknown—or untold—and I happened to learn of it some forty years later. What a thrill to tell that story in this book and for there to be such great response to the book. It is the SCBWI 2011 Golden Kite Honor Book for Excellence in Children’s Literature, received a starred review in Booklist, was a Booklist Editors Choice, was listed on Top 10 Best Black History Books by Booklist and as one of 15 best nonfiction multicultural books of the year by Booklinks, and selected for the National Council for the Social Studies list of Notable Social Studies Trade Books for Young People. SCHOOL LIBRARY JOURNAL, BULLETIN OF THE CENTER FOR CHILDREN’S BOOKS, and KIRKUS REVIEWS all gave it excellent reviews. As if I wasn’t already on Cloud Nine, the National Park Service’s Underground Railroad Network to Freedom Program presented me with their Wilbur Henry Siebert Award for excellence in the field of the Underground Railroad. Fittingly the award was presented at the NTF’s national conference in St. Augustine. On a more personal note, I am the recipient of the Studs Terkel Humanities Award, the Margaret Landon Award, The Alice Browning Award of the International Black Writers Conference, the Irma Kingsley Johnson Award of the Friends of Amistad, and was inducted into the International Literary Hall of Fame for Writers of African Descent at the Gwendolyn Brooks Center of Chicago State University. In 2011 I received a lifetime achievement award from Operation Uplift and honored by Top Ladies of Distinction. But most recently, I was the 2012 recipient of Network’s Wilbur Siebert Award for my extensive Underground Railroad writings and efforts to make this significant chapter of American history known. How good it is to see the contrast between the total absence of books by and about people of color and the wonderful books that are being created today. 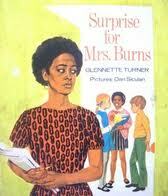 On behalf of The Brown Bookshelf, thank you, Mrs. Turner, for all of your contributions to education and literature.